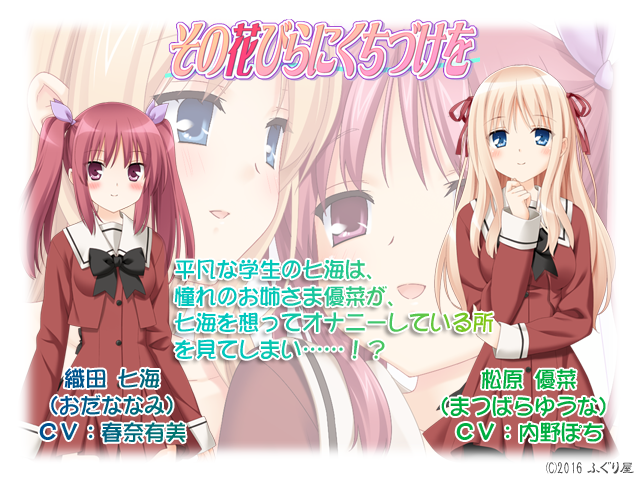 On 13 April 2016, Fuguriya announced the A Kiss For The Petals – First Series Complete Set (その花びらにくちづけを　ファーストシリーズ コンプリートセット Sono Hanabira ni Kuchizuke wo – First Series Complete Set), a compilation of five visual novels in the A Kiss For The Petals series in commemoration of their 10th anniversary. The announcement has been translated by Ralen. Information pages for the individual titles in the collection are forthcoming. See the original page for the cover, which is not safe for work, and voice samples. 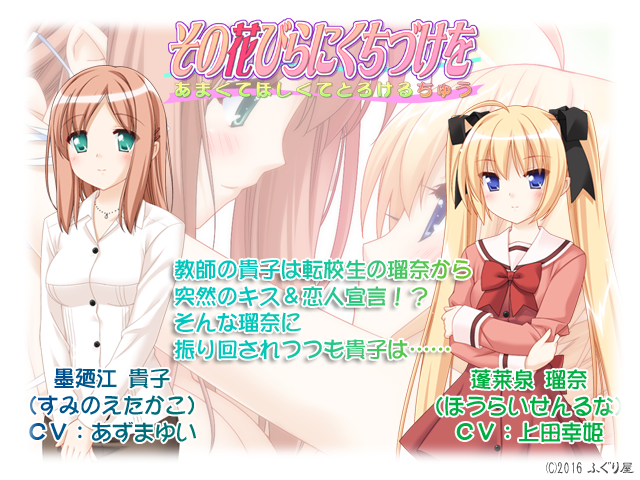 The titles selected are the debut visual novels of the first five couples and feature updated graphics, audio, and program code — the original versions are known for stability issues on recent versions of Windows, whereas these versions claim compatibility with Windows 10. This is a limited edition release, with only 1000 copies available and packaged with a full color autograph board. It is scheduled for release on 30 April 2016 at a price of 7900 yen. (Each title individually is priced at 1900 yen, for a total of 9500 yen.) 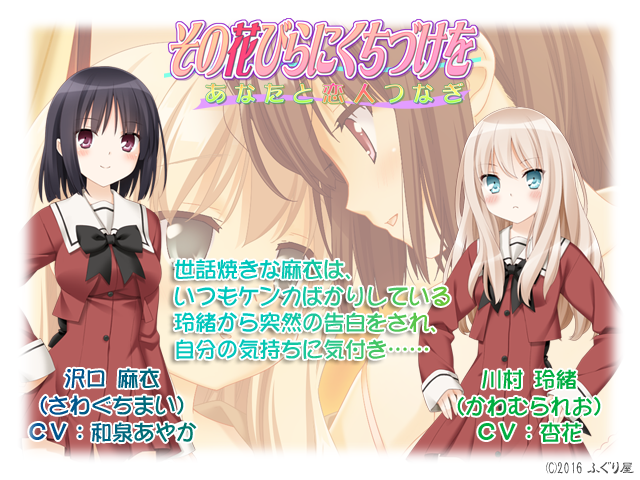 See the Buying Guide to purchase the visual novels in download form. 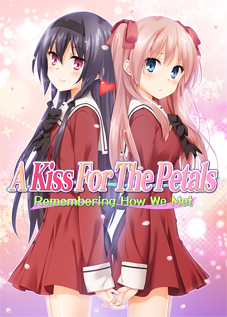 Thanks to you, A Kiss For The Petals is celebrating its 10th anniversary! 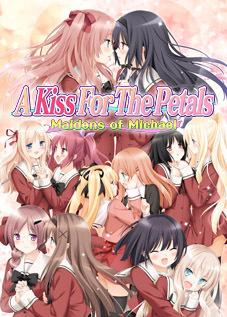 Releasing a glorious compilation containing the first games of each of the five couples to appear in the Petals series! 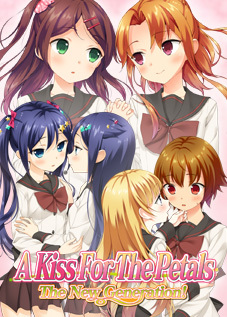 A Kiss For The Petals – First Series Complete Set! Each game’s contents is also being updated in this special edition! The music, backgrounds, and character sprites are all being updated with the latest versions. *Production of this product is being limited to 1000 copies. As a purchase bonus, each copy comes with a full color autograph (242mm x 276mm)! Don’t let this opportunity slip away! masturbating while fantasizing about her…! 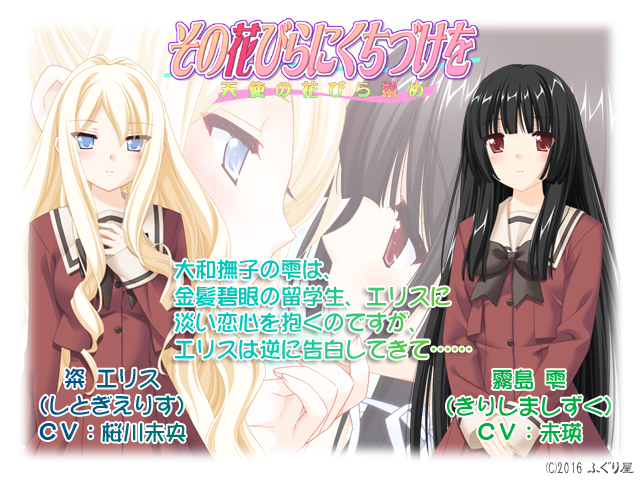 is suddenly kissed and confessed to, and she’s at a loss for what to do…! 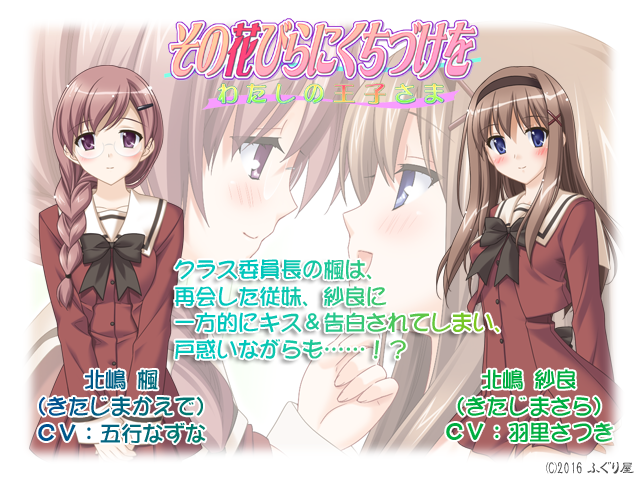 School teacher Takako is suddenly kissed and claimed as lover by her student, Runa! *Production limited to 1000 copies.